using the GoogleMapsMobile module in our mobile app we get the error message as shown in the followiong image. I tried to insert a new apikey in the test environment but the message remains the same. The problem was reported yesterday and no new implamantation was deployed. Normally these kind of errors are associated with the API Keys. 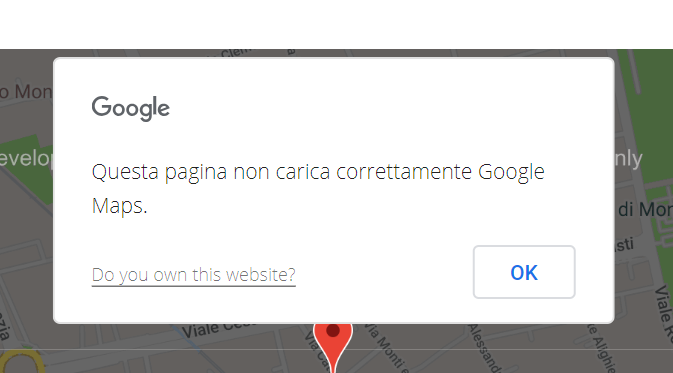 Recently, google maps changed the pricing: https://manifesto.co.uk/google-maps-api-pricing-changes/, so you will have a limit of free calls, after that you won't be able to use google maps without paying. Thank You for your helpfull answer. I confirm the case. I don't Know which kind of API Key I can generate to use in outsystem module Google Map Mobile. I tried with MAP IOS and MAP Android but it didn't work.I see that in the module there is only one point where to insert the ApiKey. We are using api key in our Mobile app developed with Outsystems and using Google Map Mobile module. So I think that the api key must be generated using IP restriction, were the IP are the outsystems server IP, or http restriction using the hostname configured in our outsystems environments. We solved the problem generatind a HTTP api key with site restriction. Glad that you overpassed the issue!